Emerson Process Management announced the launch of a new Daniel gas ultrasonic flow meter platform that elevates its well-proven British Gas design by providing two meters and transmitters in a single body to help natural gas operators and pipelines improve reliability and efficiency. Designed to maximise capital budgets by permitting two completely independent measurements with the installation of just a single flowmeter, the new 3415 (four-path + one-path) and 3416 (four-path + two-path) gas ultrasonic flow meters combine a four-path fiscal meter with an additional check meter, while the new 3417 (four-path + four-path) meter provides two fiscal meters for full redundancy and equal accuracy within one meter body. This two-in-one redundant design delivers continuous on-line verification of custody transfer measurement integrity, device health and process conditions, and improves fiscal metering confidence while ensuring regulatory compliance. 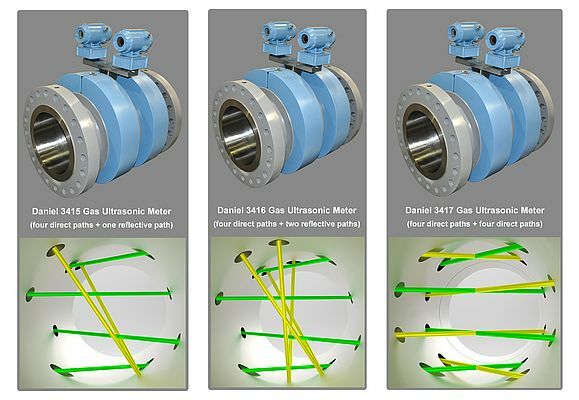 Both Daniel 3415 and 3416 gas ultrasonic meters measure flow using four horizontal chordal paths in addition to a reflective path dedicated to verification of the primary measurement, enabling improved metering insight, more informed decision making and simplified flow meter verification. For enhanced immunity to pipe wall contamination, the 3416 meter is equipped with an additional vertical reflective path to detect liquid or very thin layers of contamination at the bottom of the meter that otherwise remain completely hidden in a direct-path meter design. 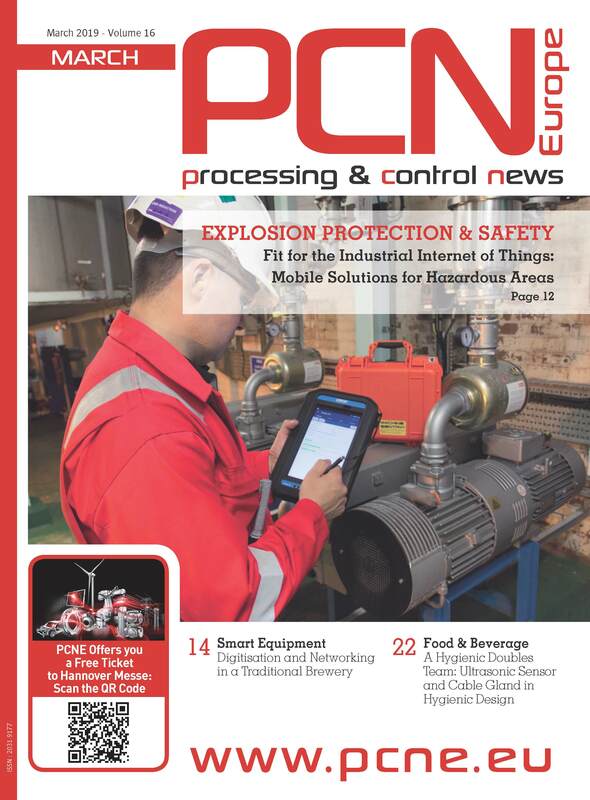 This allows reliable monitoring of process changes before they affect measurement, thus reducing calibration frequency and enabling maintenance to be condition-based instead of calendar-based. To further improve reliability and uptime in particularly demanding custody transfer applications, users can leverage the Daniel 3417 gas ultrasonic meter with its unique dual-plane configuration that combines two independent four-path British Gas fiscal meters into one meter body. The configuration ensures complete measurement redundancy with two meters of equal accuracy and the ability for each meter to operate independently of the other. This design significantly reduces cost for measurement stations that traditionally utilise two separate meters with their associated piping, calibrations and installations. The 3417 meter is ideal for border stations that are becoming bi-directional, storage applications, remote locations such as offshore platforms or for use on large compressor stations or lines without a bypass. "Knowing if and when a gas ultrasonic meter has drifted and who is paying for the measurement shift is critically important to our customers' business," said Kerry Groeschel, director of engineering of Emerson's Daniel ultrasonic meters. "Our 3417 meter addresses these needs because it can be used as a shared meter between two contracting parties for a tremendous capital savings or for complete custody transfer backup measurement should maintenance be needed. The 3415 and 3416 also deliver significant advantages, particularly in shale plays, by giving operators greater visibility into gas quality." All meters are approved to the more stringent class 0.5 of OIML R137 MID Accuracy. In addition, they feature redundant electronics with a patented transducer synchronisation function that is unique to Daniel gas ultrasonic technology. This function coordinates the acoustic firing of both meters to avoid interference between the two meters, allowing the highest sampling rate possible and providing stable ultrasonic signals and optimal low flow response for a more accurate and reliable measurement. Furthermore, all meters are equipped with MeterLink™, a fully automated diagnostics software package. MeterLink allows operators access to easy-to-interpret diagnostic information, providing greater visibility to meter performance and product quality as well as alerts that are generated when abnormal operating conditions are detected. Daniel multi-path redundant gas ultrasonic meters provide additional measurement confidence by calculating corrected volume rates, mass and energy rates and real time AGA 10 speed of sound. This ensures a repeatable and accurate flow measurement, even when process conditions vary or differ from calibrated conditions.